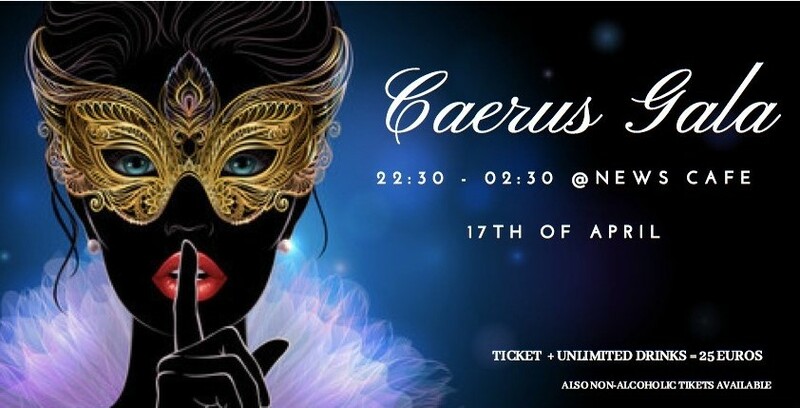 It's the time of the year again where everyone goes all crazy at the Caerus Gala! There will be music, unlimited booze and partying all night at the News Cafe. Dress up in your finest outfits and bring your best mood to the annual Gala that you've all been waiting for. For the first hour you are expected to wear a mask, and party in disguise! If you're not drinking alcohol, you can also sign up for 12.5 euros and enjoy unlimited amounts of non-alcoholic drinks the entire night.